Lennox furnaces have been proven, time and time again, to provide the reliability and performance from homeowners who demand the the highest quality for their home heating needs. Although Lennox does not provide furnace prices on their website or over the phone, we have put together price lists for oil, electric air handlers with heat strips and Lennox gas furnace prices from our own customers, other owners, and several leading resources available to industry professionals. Along with out own sources of pricing, we allow visitors like yourself to submit the quotes you have received Lennox furnace prices from local dealers, or the cost you paid to have a new Lennox system installed in your home. Lennox provides a very good products and is confident in the quality of their furnaces. They provide each unit with the Good Housekeeping seal, assuring consumers of their reputation and customer satisfaction goals. Lennox 2018-2019 Furnace Prices updated in below table January 2019. In order to provide a fair price estimate that you can use to apply to your own Lennox furnace pricing, we need to start with a baseline. In this case, our baseline unit is an 80k btu furnace with a 1200 cfm (3-ton) fan blower. This system is the most common we have found installed in most homes that are between the 1600-2000 square feet range. This unit would also be a common choice for 2.5-3 ton AC units, so we have included a column in our Lennox furnace price list below, that includes central air, installed. We can’t emphasize the importance of saying the prices above are only general estimates. Each home has it’s own set of unique characteristics that can change the price you pay for your new furnace or complete HVAC system. If you want to learn more about Lennox, the company itself, or what rebates are currently being offered on Lennox furnaces, we have provided links below to help you get there. 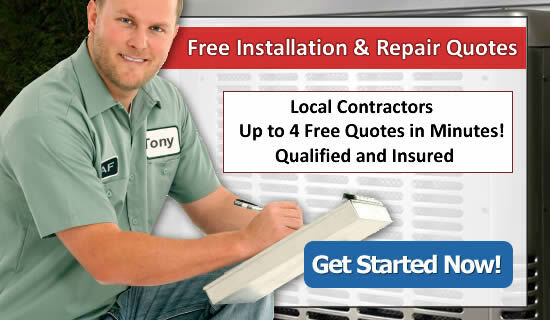 In addition, we have proved a way for you to get competitive price quotes on furnaces from qualified companies that service homes in your area. We receive many user submissions of the cost our customers and visitors have paid for Lennox furnaces. We remove any personal identifying information, and list the data in the comparison price list below. Along with the price paid, we collect Geographical location, furnace details, type of service performed, as well as a basis of what was included in the cost.